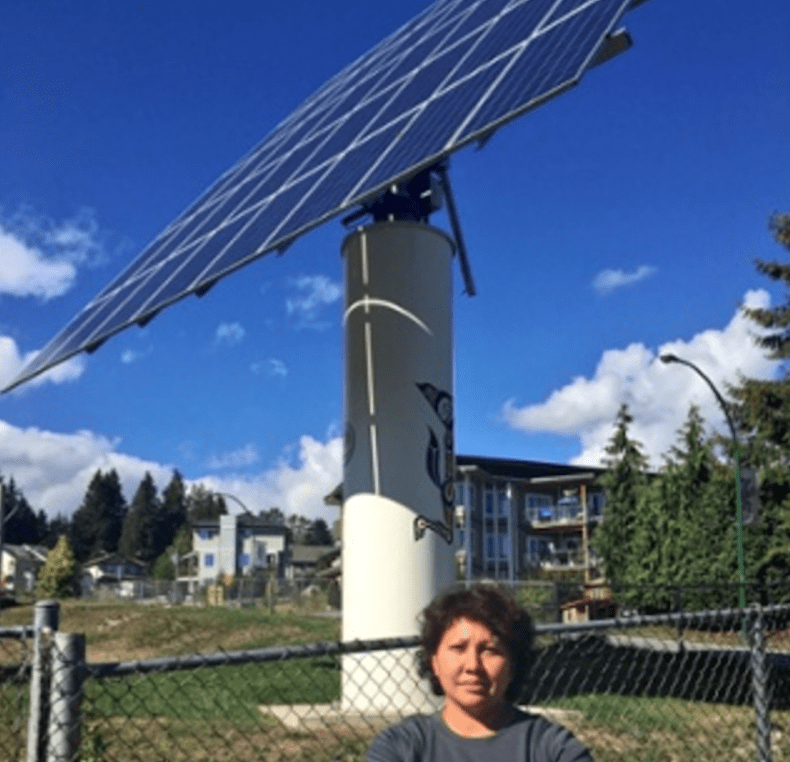 MY FIRST NATIONS COMMUNITY WANTS SOLAR ENERGY NOT KINDER MORGAN… WILL YOU WALK WITH US THIS WEEKEND? Wouldn’t it be amazing to see a big, beautiful solar power project shining in the sun across the water from the existing Kinder Morgan oil tanker terminal? What a poetic way to illustrate the choices before us. Right? I will be walking in the 2.5k around Lost Lagoon as part of the Great Climate Race. We are raising money for a solar project in the Tsleil Waututh Nation community. We could use your help. Will you join me? 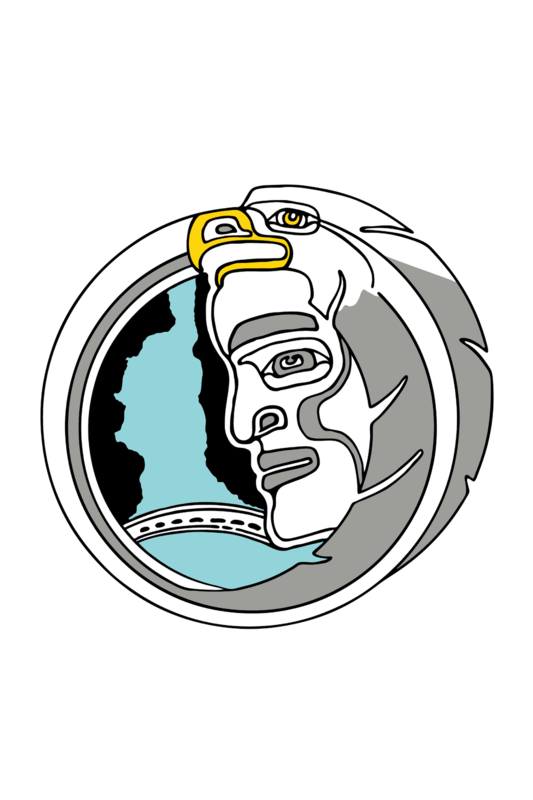 The Tsleil-Waututh Nation are the people of the inlet. Our community lives directly across the water from the Kinder Morgan tar sands oil tanker terminal. We have stood in opposition to this proposed pipeline and oil tanker project for many reasons; the most important of which is our duty to protect the inlet and our children’s future. Our inlet, as well as the entire Salish Sea including the major cities of Vancouver and Victoria, would be devastated by an oil spill. And this oil, this diluted bitumen, is impossible to clean up. One accident and the lives and livelihoods of hundreds of thousands of people, as well as salmon, dolphins, whales, seals and a multitude of other aquatic and avian species, would be destroyed forever. If that isn’t bad enough, the impact of this pipeline on our climate could tip us over the edge to a point of no return. So, we stand in opposition, not only for our children but for all the children of the Salish Sea and the rest of the planet. But saying no is not enough. We need to act. We need to show the world that there are better choices; better alternatives like renewable energy. And this is the time to do it. Not at some nebulous time in the future after a long, slow crippling transition that pushes us past that point of no return. Now. This is the moment for us to convey the urgency around the need to transition to 100% renewable energy. It is also the moment to convey the practicality of it. We are partnering with the Great Climate Race to raise money for a large solar power project in our community. The project will not only provide thousands of kilowatt hours of solar power onto the grid but it will also provide a very visual symbol of the moment we are at. Now on one side of Burrard Inlet, you will see this beautiful renewable energy project being built and on the other side you will see the existing Kinder Morgan oil tanker terminal. Did you know that our inlet is the only place on the West Coast unrefined bitumen oil is making its way onto tankers for export? We are being turned into the gateway to Global Warming. The decision that is being made about expanding that pipeline infrastructure has big consequences. We are at a fork in the road and the path we collectively decide to take is really, really important. The Great Climate Race is all about being for things not just against them. This project is a great opportunity to show widespread support for renewable energy alternatives.